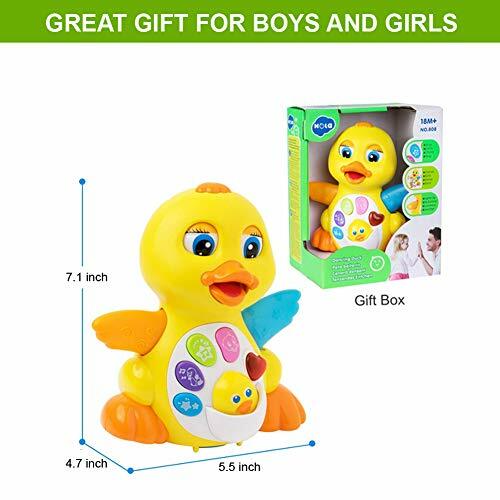 The Musical Duck Toy is the perfect little play thing that will stimulate various of your child’s senses to promote a happier and healthier development. 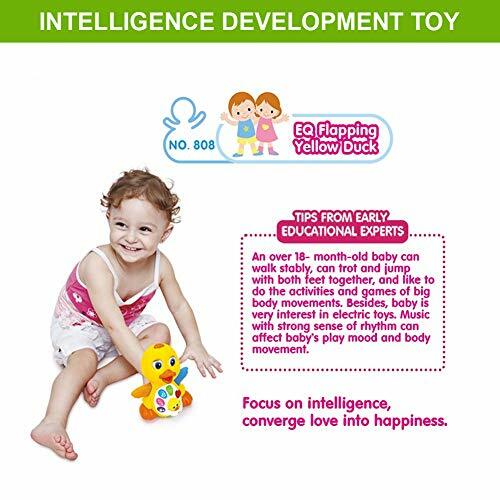 Colorful design, attract the attention of babies and cultivate the babies’ cognitive competence of color. 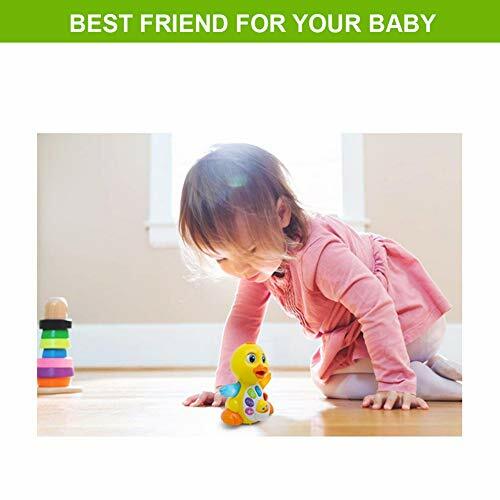 About its wings and body, it has a high visually irritation, will show your baby with colors and lights, the toddler will learn about colors and have fun! 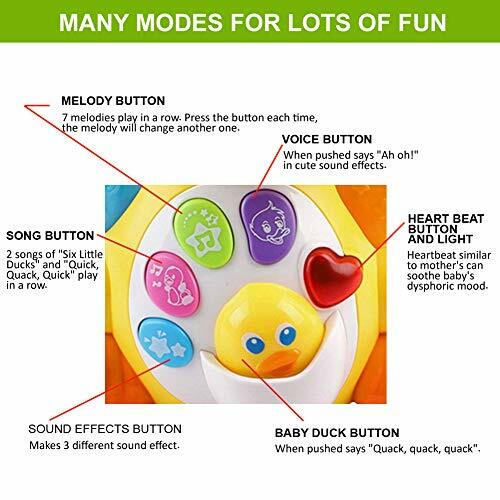 The head button activates all senses of the duck. 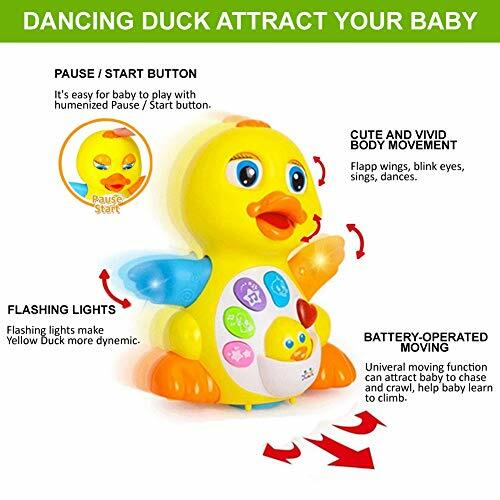 It flashes lights, moves around you and if it bumps on to an obstacle, it will automatically change direction to continue its journey. 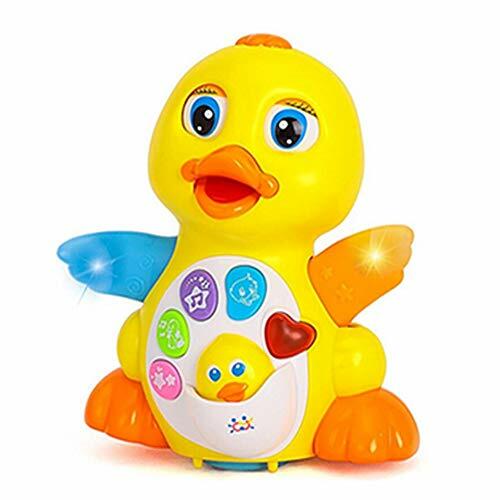 Watch the duck blink at you with its beautiful blue eyes, flap its wings and also open and close its little mouth. If there is anything puzzles you about the page, please feel free to contact us. It is a pleasure to provide the best service for you!